Clew is in a Thai mood with our photographer Lisbeth Ganer’s fabulous photo series from Bangkok. 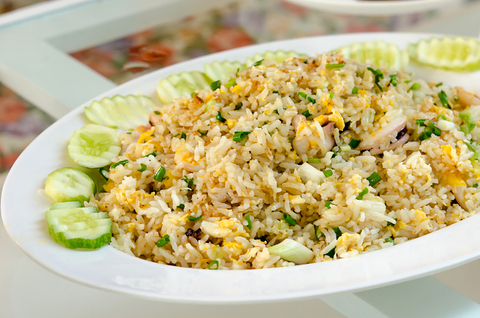 This week’s focus is on food, so let’s not content ourselves to looking at food photos – let’s make Thai food! Street food is a huge must when in Bangkok, but if you’re not going there any time soon, cook it yourself, for example with the help of Michelin-starred chef David Thompson, the Australian who ended up a/the leading expert on Thai food. Place the garlic and salt in a mortar and pestle and pound into a paste. Heat a wok over medium-high heat. Add the oil and garlic and cook until the garlic just starts to colour a little. Crack the egg into the wok and stir until lightly scrambled, then push to the side of the wok. Add the cold rice, then stir until the rice is well coated in the egg. 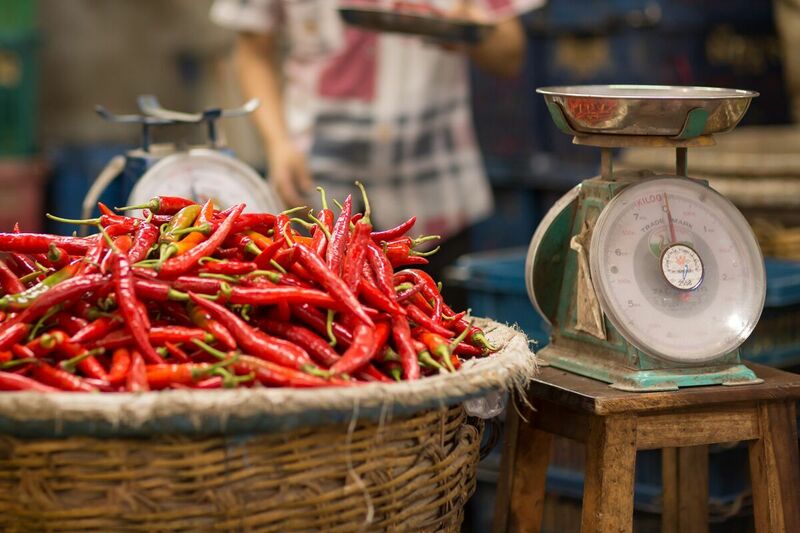 You may also serve with nahm prik plaa in a separate bowl: Simply combine chopped red and green scud chillies, thinly sliced garlic and a squeeze of lime juice to a bowl of fish sauce. And as always when you stir-fry, have all your ingredients next to you and ready to be tossed in. Peel and devein the prawns, but leave the tails attached. Using a mortar and pestle, bruise the lemongrass, lime leaves, galangal, shallots, coriander roots and green bird’s eye chillis. Add these to the simmering stock, then cut or tear the mushrooms and add them too. Simmer for a minute or so until the mushrooms are tender before adding the prawns and tamarind water, if using. 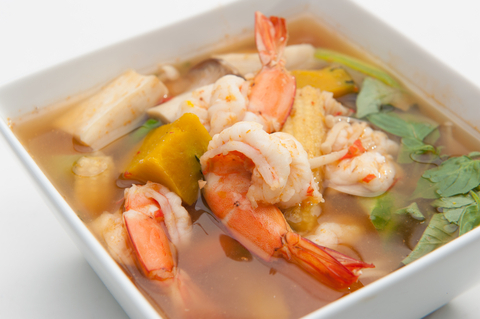 Simmer until the prawns are cooked – about 2 – 3 minutes. In a serving bowl, combine the lime juice with the fish sauce, chillies, chilli powder and coriander. Pour in the soup and stir thoroughly. It should taste equally hot, salt and sour – adjust the seasoning accordingly. For more Thai street food recipes from David Thompson, get the book on amazon.